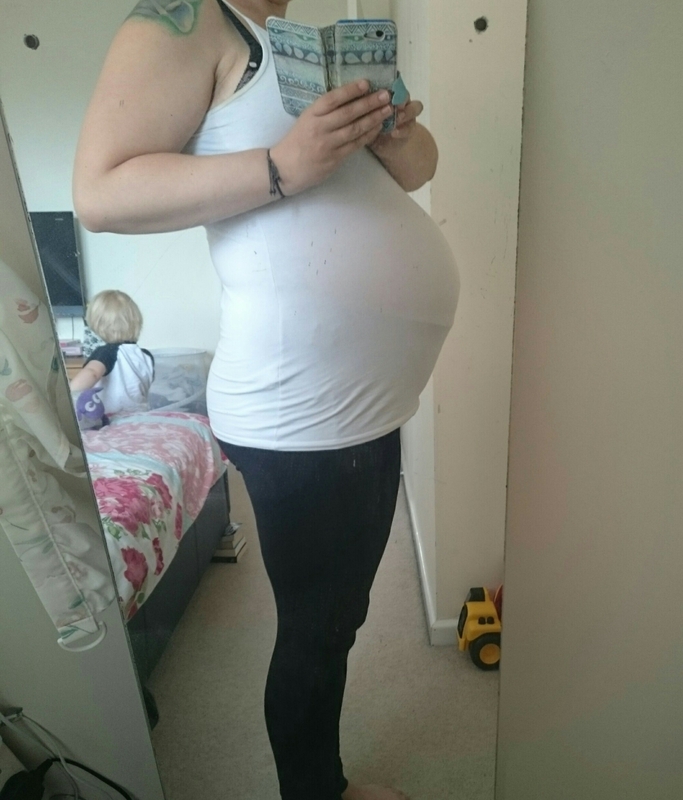 Here I am, at 32 weeks and 2 days, and I’ve just made the biggest decision I’ll make through this pregnancy. How I’ll give birth. Choosing to have a caesarean section. When we decided to have a second baby, I was adamant that I’d have an HBAC (home birth after caesarean). I wanted to hire a birthing pool, have fairy lights and candles up, relaxing music, relaxing smells and go at my own pace. I didn’t want any form of medical intervention, no induction, one VE when my midwife arrived and a natural third stage. However, the further along I get, the more I’ve found myself sitting and thinking about all the options and possible outcomes. And the worst outcome is that I labour at home but then have to be transferred to the hospital for whatever reason. My mum lives 50 minutes away so I would have to be transferred to the hospital alone (with the midwives) while my fiancé waits at home with Henry for my mum to come and look after him. And then he’s got to get to the hospital. Anything could happen in that time and after everything that happened with Henry’s birth, I don’t want to be without his support. I have to do what’s best for me and Henry. Obviously, Archie is important as well but in taking care of myself, I’m taking care of him. That’s why I’ve made the decision to have an elective section. It’s definitely not my first choice and I’m feeling a bit sad that I might never get to experience a ‘natural birth’ but I don’t feel guilty and that’s telling me that I’ve made the right decision. Honestly, I’m pooing my pants at the thought of another operation, the hospital stay and the horrendous recovery but I’m hopefully opting for a ‘natural caesarean’ (I’ll post a link below which will explain that in more detail). I don’t know how far my hospital will go in terms of agreeing to my ideas but I’m hoping they agree to some to give me a positive birth experience and help take away some of the negativity from Henry’s birth. I’ve got a lot of questions for my consultant because an elective section was never on the cards..so any thoughts or questions I had about it got pushed aside! Best case scenario, I’m the first section of the day so I can leave the next day! The hardest thing will be leaving Henry and I know I’ll cry more times then I’ll admit because I’ll be missing him so much but I have to remember that I’m doing what’s best for our family. I’ve got my fiancé’s support and my mum’s too, who has agreed to stay at mine for a couple of days to look after Henry and be on standby if I need her. She’s honestly the most amazing woman, I don’t know what I’d do without her. She’s the only family I’ve got but I’d rather have just her than a huge extended family who doesn’t really care! I’ve now got to go away and try and remember what to pack in a hospital bag and get all the things we’ve got left to buy in 6 weeks! This is my hospital bag list from when I was pregnant with Henry..a lot of the stuff on it, I didn’t actually use so maybe I won’t overpack again! I’ll get my date at my next consultant appointment but I won’t be revealing it and I’ll only be announcing when Archie has finally arrived! I think it’s so important that women get to choose the birth they want, without judgment or scrutiny from anyone. Childbirth is bloody hard, no matter which way you go about it! I wasn’t going to tell anyone that I’d changed my birth plan but then I thought that I shouldn’t have to lie/keep it to myself when it’s a decision that I made as a woman and a mother as I felt it was the option I had the most control over. To me, what’s important is that Archer is delivered safely, that I’m comfortable delivering him and that Henry is cared for while I’m bringing his brother into the world. I’m a happy Mummy if all those things come together!